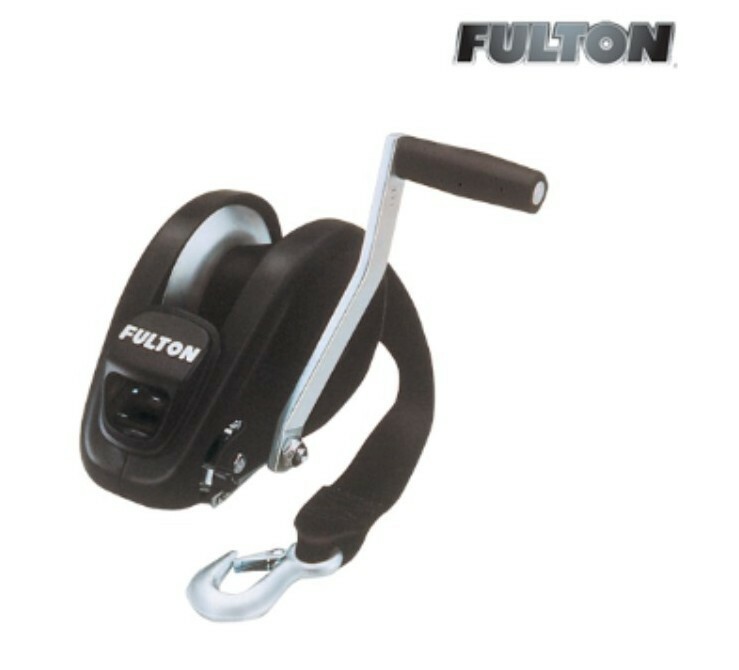 Fulton brand self-activating automatic brake winches hold the load securely when the crank handle is released. Typical applications include boat lifts, grain augers, manual forklifts, retractable swing keels, dumpster lid lifts, and manual hoists. New in box, been sitting on shelf awhile. Heavy-duty reinforced frame keeps the high carbon steel gears aligned under load for increased life cycle performance. Two-way ratchet pawl allows strap to be retrieved either over or under drum hub. Oil impregnated bushings, 5.1:1 gear ratio and 10" comfort grip handle make cranking easy. High quality zinc finish and stylized black polypropylene shell provide a clean, classy look to your trailer. 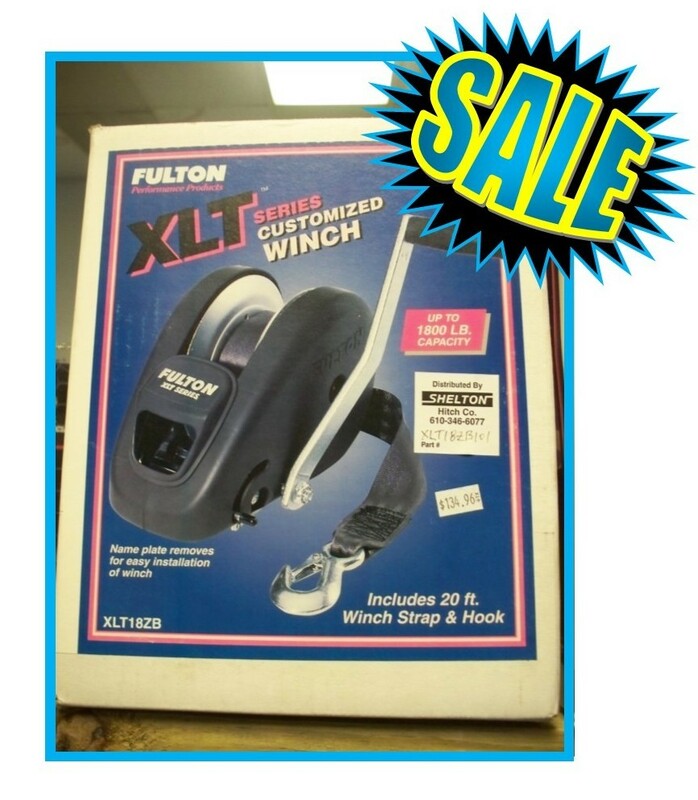 Includes 20' black strap with heavy-duty hook. Quick change strap retainer pin allows winch strap to be removed or changed without taking the winch apart. Nameplate removes for easy installation on trailer. 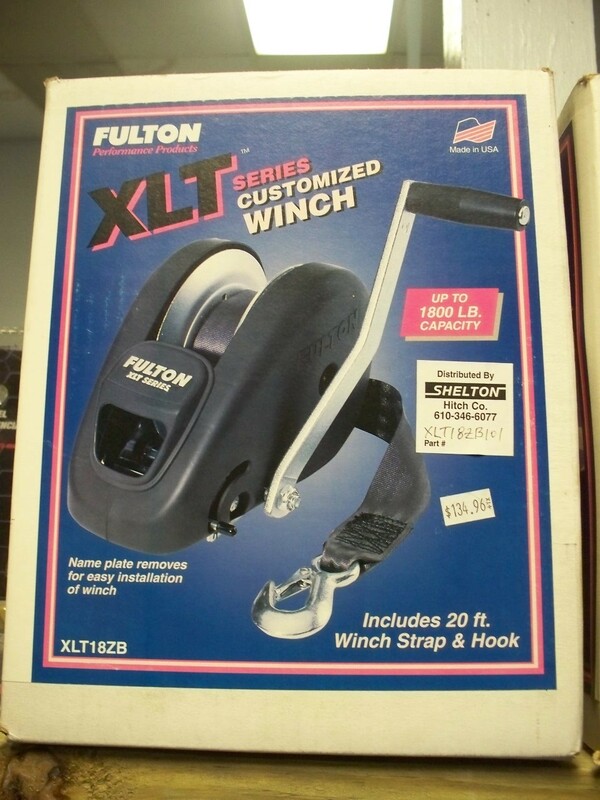 End user supplies winch mounting hardware. Refer to owners manual for recommended hardware grade.